Hello Doodlebug fans! I am extremely excited to be sharing my first project with you all today. 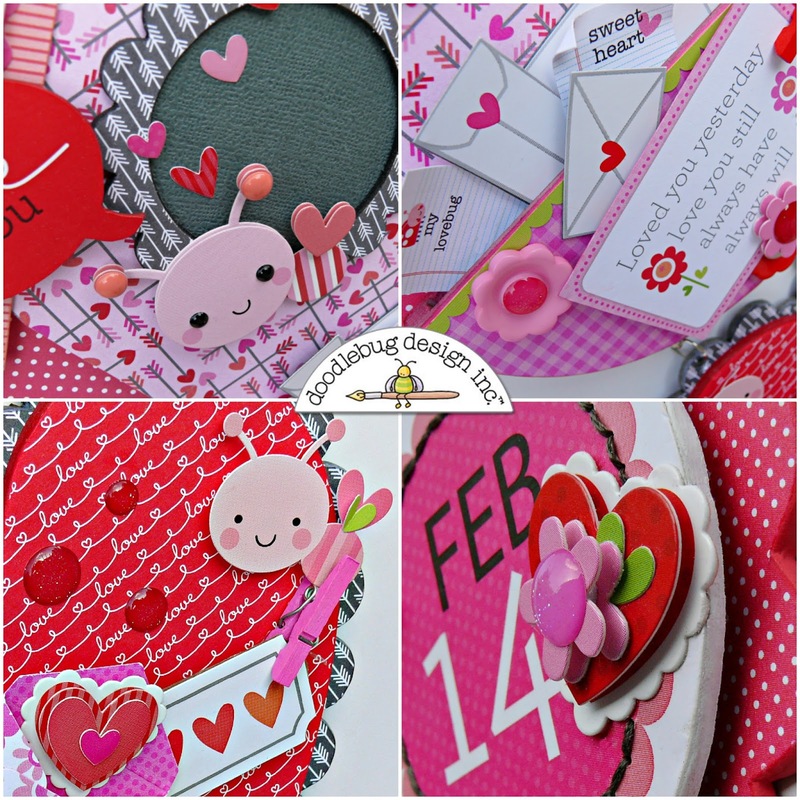 And what better way to start things off, than with a Valentine's Day project, using the super cute Lovebugs collection. I created this banner using some basic chipboard pieces. I reinforced some of the stickers from the collection, like the "Feb 14th" and the envelopes with cardstock and thin cardboard. Making them a little more durable and giving the project lots of dimension. 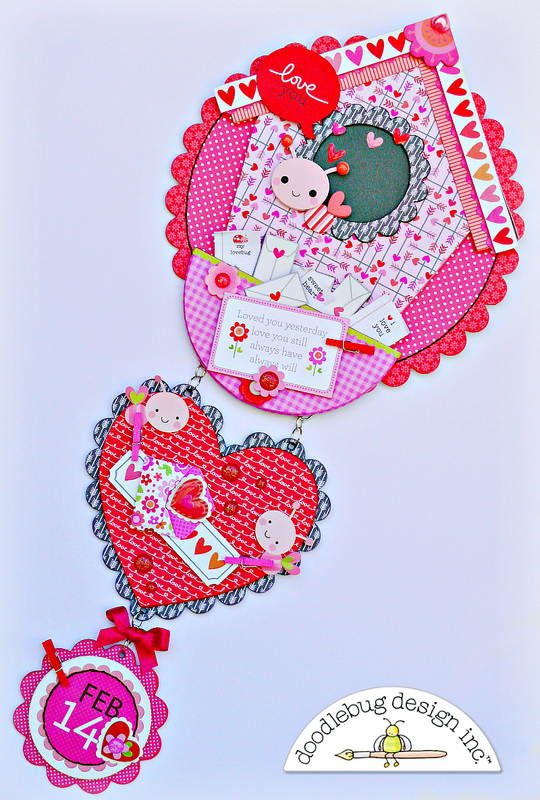 I had lots of fun layering all of the fun embellishments and stickers, as you can see in the close-ups below. Some of my favorite things from the collection are the Mini Love Notes, the Love Glitter Sprinkles and of course those adorable little bugs. I used a mixture of patterned papers from the Lovebugs 6x6 pad, along with some 12x12 papers from the collection as well. This is so cute Jennifer!!!! I am so making something similar! Would you mind sharing the overall length and width if it? It's hard to tell scale without anything else in the photo. Thanks! Hi Janet! The finished size is 8"x18"
Absolutely beautiful! The entire project is just stunning with so many fun elements. The love bugs are my favorite and those little love notes are to die for! 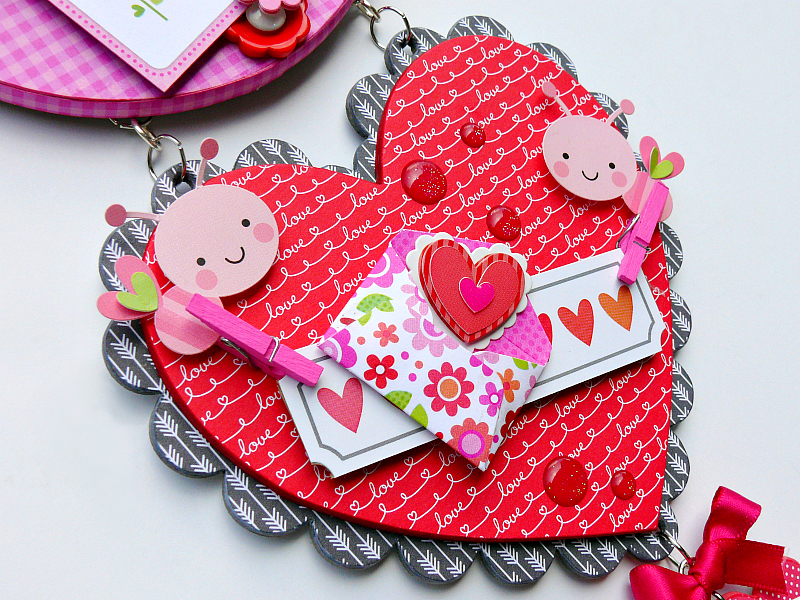 So fun and cutesy! OMG Your Wall Decor is just so beautiful. WOW You really did do one outstanding creative job! I've never ever seen anything like this before....girl you sure are out super talented gal. I am in total awe of what you created. In a word WOW!!!!! YOU so ROCK!! 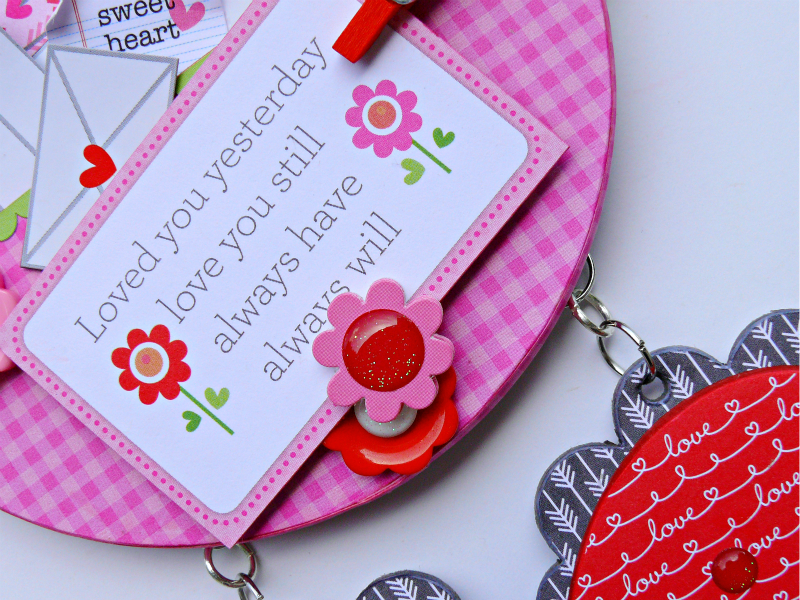 LOVE everything about your ADORABLE wall décor Jennifer - a CRAFTY DELIGHT!!! Love it -- adorable Jennifer!! This is adorableness times a million, Jennifer!!! So pleased to see such an ingenius idea and then to see it so well done is exciting!! 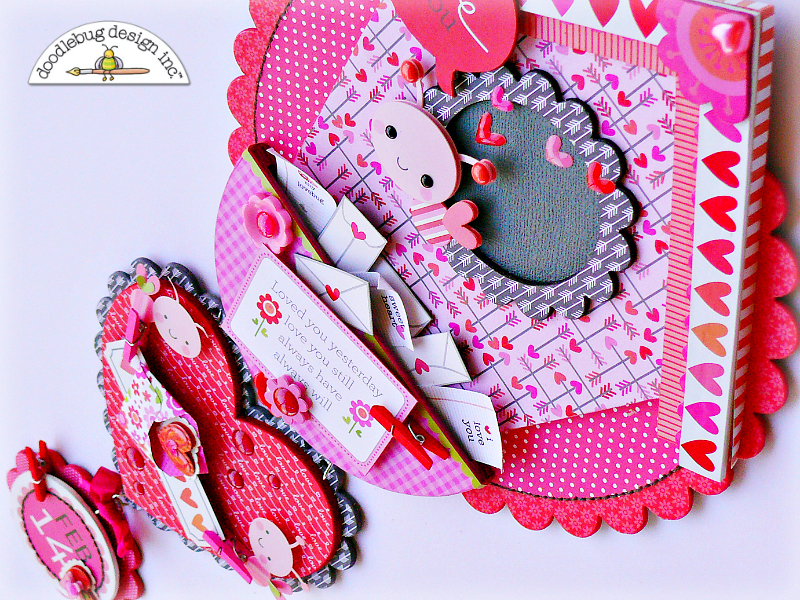 What a clever project and it is so cool to see how you have made the most of Doodlebug's products to create this work of heart!!!!! Inspired by you!!! It is so adorable .. I want to make one of those !!! Can you give me an instruction of those ? 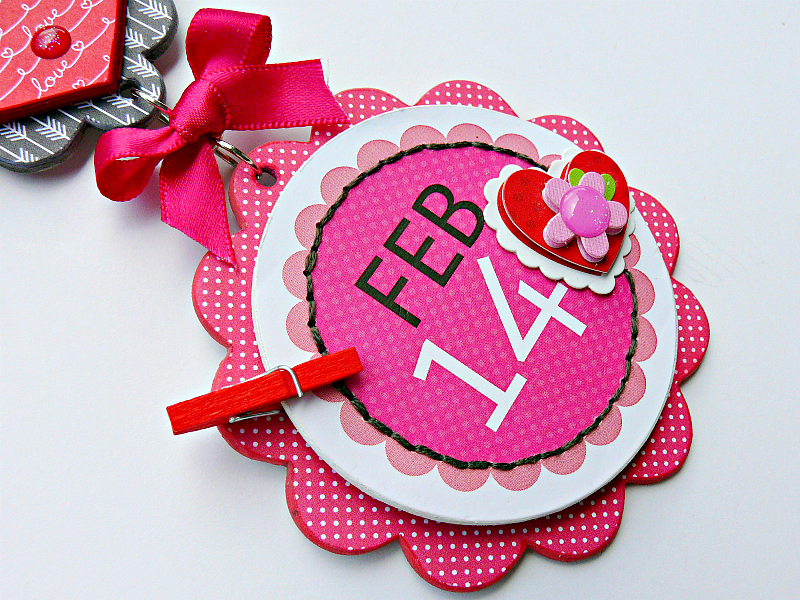 Hope you would ..It is so cute and love it ..